after purchasing my 1st pair I have ordered several more myself and my sons and sons in law. I love these for both comfort and support. I simply don't want to take them off. Great remedy for my senior sag. My comfort is now a 10, especially on the golf course. Adjustable support where I need it. I can never go back to my old underwear! First time buying specialty/fashion underwear, but had always wanted to find the write brand and fit. I have "cue ball" support needs that were never really addressed by other brands, but the moment I slipped it on I felt cradled and trendy. Had thought the draw string would be obtrusive but not at all, in fact the little tug on them did the trick on my boulders. Will get more soon! Really excellent, super breathable, comfortable underwear which simply looks great! Uniquely though you can adjust how you hang depending on what your activity is and I find that truly great and it makes me feel really good all the time! Before UFM Underwear my "Manhood" stuck to my thigh and I was always adjusting. UFM has changed all of that by giving my the support I never knew I needed. Thanks UFM for supporting my Manhood! Just got my next three pairs and the great feeling is still there.How do you tell friends without sounding weird when talking about the underwear? Want to tell the world what they are missing. Bought 2 pair 6 inch boxer briefs to try. WOW the best support and comfort I had ever had in any underware. So Great that now i am ordering 5 more pair. Telling all my friends and family so they order . No riding or binding...The Best Choice of "Underware for Men"! Absolutely the most comfortable underware I have ever owned. The only brand I will ever buy now. Great for all activities. From work to nights out, the gym, etc.. Excellent fit, superior quality; I'm definitely replacing my underwear to this product. wearing my first was like sending my package on a trip.Like snoozing in a hammock. When I got my first pair of UFM boxer briefs I thought okay these might be alright but after wearing them I ordered five more pair. They are amazing, they cradle my manhood and are supportive without pinching or binding. High five UFM! I think I have tried every boxer Brief out there.. the fit is amazing time to replace all my boxer Briefs. Have Had A Hernia Problem For 32 Years, At 61 Now , Have Had A Lot Of Pain. These Amazing Underwear Have Completely Taken The Pain Away , And Are The Most Amazing Underwear Ever . My husband likes the fit and feel of these underwear. Yes, they really do eliminate chaffing, squeezing, rubbing, testes sticking to thighs...and the various discomforts of manhood. The quality and proportions are fine...except for the elastic waistband: too tight [and I'm skinny]. 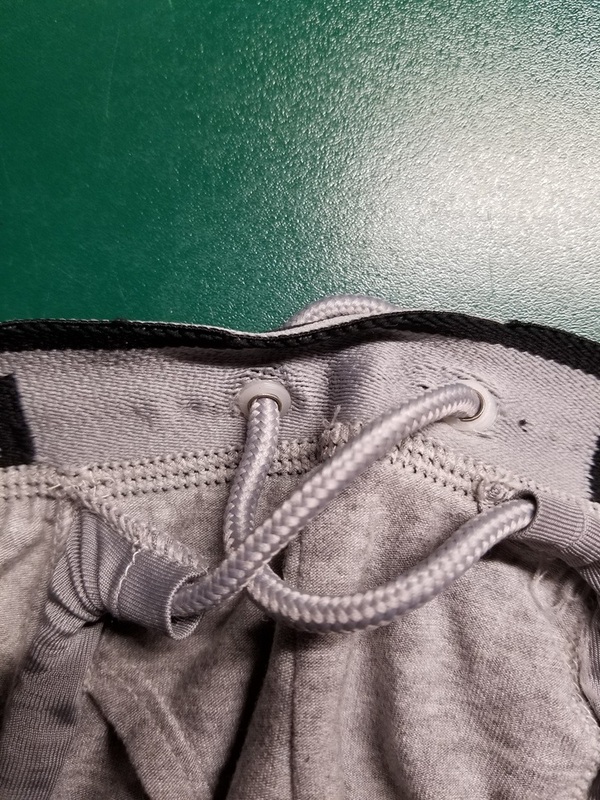 Maybe the next generation could have an adjustable waistband. Notify me...I'll be a buyer. Never thought I'd be writing a review about my underwear, but this product is all it says it is and much more! Speaking plainly there are 2 kinds of male junk: the horizontal equipment in a neat confined package sticking straight out, and then there're the rest of us guys with a large vertical package that hangs straight down and we have to uncomfortably stuff it down one of the legs of our action shorts or kakis for all the world to see it. And, although this UFM underwear seems to work for both types of males, it's the latter hanging down type that describes me: modesty aside: really large and rediculously hanging testicles and and a thick, long foreskin (my European background) both that gravity seems to want to pull all the way to the center of the earth. For years I wore Munsingwear tighty whities to accommodate my ridiculous package, but the pouch never seemed to be big enough and there were also times when a testicle escaped out and got very painfully squeezed - you guys know how painful that is!! Wore jockstrap for awhile too but the cup was also never big enough to keep it all in. In conclusion: buy this product, the big adjustable pouch more than contains all your junk and lifts it up and away from your thighs where all that chafing and squeezing happens. Thank you. The heat is on but my jewels stay nice and cool with these boxer briefs. Simply an incredible fit since you can adjust "the hammock". I like it tight while at work, loose at home. Every man should be wearing UFM underwear. No need to wear anything else! Some might say the price is too high, but believe me, it's money well spent!! These are the best and most comfortable underwear ever! I loaned one pair to my son-in-law and kept them! Showered at 1 am and put on my UFM 9 inch black boxer briefs to start my day at work. Standing, stocking walking sitting, for 12 hours. Just got home, and I still feel fresh and dry down under! Simply the BEST underwear for a man that sweats!! UFM Mens Underwear produces, wholesales and retails premium mens pouch underwear featuring their patented adjustable support system for Sports, Medical, Work and Everyday wear.